I’ve been thinking a lot about Kilimanjaro this year, ever since watching David Breashears’ film Kilimanjaro: To the Roof of Africa back in June. I was long overdue a return, and over Christmas I’ll be doing just that. 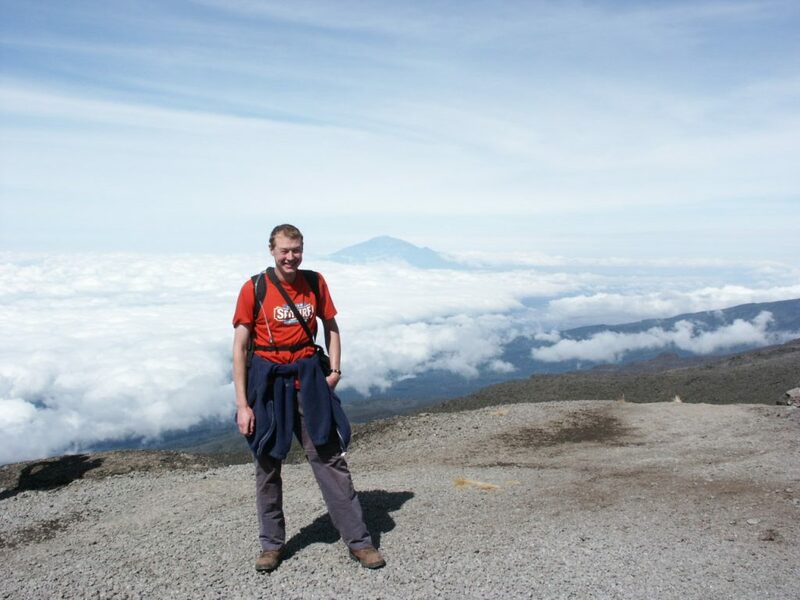 I first climbed Africa’s highest mountain in 2002, and at time the giant 5895m volcano in northern Tanzania was also the highest mountain I had ever climbed. 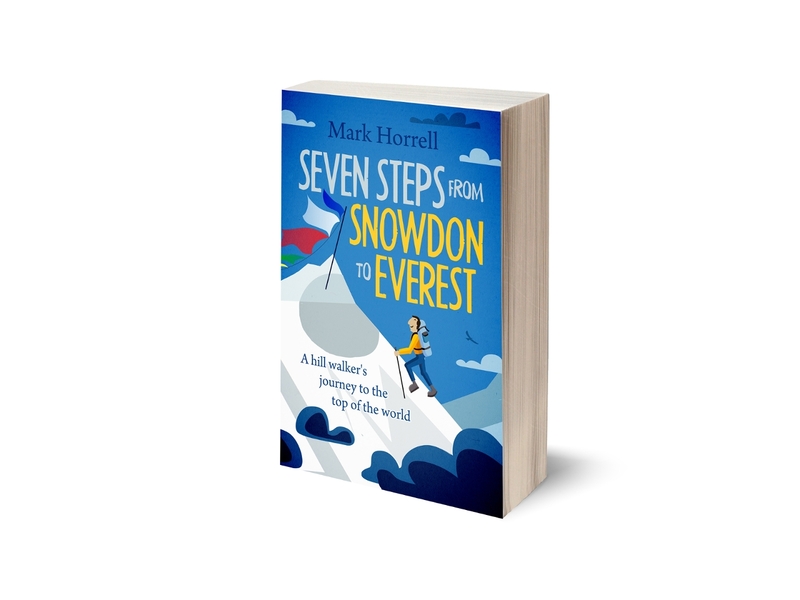 If you’ve read my book Seven Steps from Snowdon to Everest, you will know that it was the third step of my journey from hill walker to Everest climber. 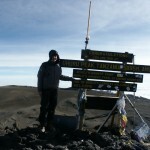 Me at the top of the Barranco Wall, during my first ascent of Kilimanjaro in 2012. Back in those days I used to wear beer tee-shirts (and I had some hair). As I described the story in my book, I started 2002 by quitting my job with some money in my pocket. I knew I wanted to spend some time walking in exotic places, but I never dreamed that before the year was out I would by standing on the crown of Africa. I enjoyed hill walking, but that was a hill and a half, and I assumed it would be too tough for the likes of me. In March of that year I was sitting on a spur above Tengboche Monastery in Nepal, staring across rhododendron forests to the black fortress of Everest rising on the horizon. I knew that climbing Everest was a ludicrous proposition, and the thought didn’t enter my mind, but as I sat there dreaming of high mountains, my travelling companion John gently suggested Kilimanjaro. I knew immediately that I would have to climb it some day. 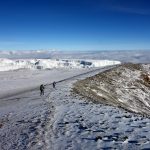 A few months later, having trekked to 5000m in the Andes of Peru, I was ready to climb Kili, though I didn’t know if I would be strong enough to succeed. I decided to pre-acclimatise on Mount Kenya, and trekked to its third-highest peak, Point Lenana. By the time I reached the foothills of Kilimanjaro, I was in good shape, acclimatised, and in love with the mountains of Africa. Mount Kenya had been packed with variety, from the bamboo forests on its lower slopes, to the grasslands above, the weird giant groundsels sprouting from the ground like species from another planet, to the rocky summits with views for miles across the African plains. If you’ve never experienced these things in this life, then book your trip for next year. Kilimanjaro took these things to another level, and I didn’t even choose the best route to climb it, walking up a dirt track most of the way to the Shira Plateau. Many people who climb Kili remember the misty Tolkienesque jungle on its southern side, but I missed out on that. 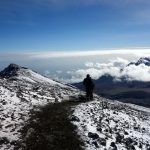 Two things stuck in my mind about my Kilimanjaro summit day. For one, I had expected the summit to be boring, but it was one of the most amazing places I had ever been. By the time I reached the crater rim at Stella Point, I had already experienced the sunrise behind Mawenzi, Kilimanjaro’s jagged second summit, and seen the blanket of cloud far below as sunbeams gently lit up the land. At Stella Point I looked across Kilimanjaro’s summit crater and felt like I was standing on the surface of the moon. The rock was brown, but the sun gave it an orange glow, and streaks of strangely incongruous glacier provided some contrast. It was a landscape like I had never experienced before, and I felt like I was walking on air. Almost literally, for the second thing that surprised me about Kilimanjaro, was that I wasn’t the exhausted wreck I expected to be. I imagined I would be crawling to the summit, Uhuru Peak, on my hands and knees, but I was in much better shape than I thought I would be. I had a mountaineer’s legs from a year of treading the high mountains of the world, and I had already discovered that I was a good acclimatiser to high altitude. Despite this discovery, until I arrived at Stella Point – when I knew for the first time that the summit was in my grasp – my climb had been full of uncertainty. This time it will be a different story. Since 2002, the year my journey as a high-altitude mountaineer began, every time I’ve returned to a peak I’ve found it much easier second time around. You can never guarantee to reach the summit of a mountain, but unless something unusual happens I know that this time it should be relatively straightforward, and I fully expect to be standing on the summit before the end of the year. I can’t wait. We are climbing with local Tanzanian operator Zara Tours, and have asked them to put together a special itinerary for us. David Breashears’ film Kilimanjaro: To the Roof of Africa was inspirational in many ways, not least because it gave me some great ideas for exploring the mountain, now that I am unburdened of any doubt about reaching the summit – the main preoccupation of most Kilimanjaro climbers, including me on my first visit. For nearly everybody else an ascent of Kilimanjaro involves climbing at night, and going straight up and straight down again in one long day. On my last visit we climbed 1400m and descended 2800m before the day was out. Many of my team were so tired they have few memories of the summit. A couple of them threw up into the crater, and another was in tears. They staggered to the summit like drunks attending midnight mass, then wobbled against that homemade sign on the summit to have their photographs taken. 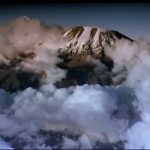 They were able to gaze at nearby Mount Meru sticking up through the clouds, but time was short, and they had a long descent to complete in their tired state. This is the experience of nearly every summiteer, but Edita and I are determined to spend much longer up there this time, and explore a bit of the crater. The team in David Breashears’ film actually climbed during the day and pitched their camp in the crater. This gave them an afternoon to explore, and just a short 300m climb to the summit the following day. It looked perfect, and we’d like to do that too. Kilimanjaro actually contains three concentric craters, the outer one, 3km long and 2km wide, that everyone walks around on their way to Uhuru Peak; the inner Reutsch Crater, 1.3km in diameter; and the middle one, just 140m wide and known as the Ash Pit, where if you’re lucky you might even get to see some volcanic activity. It will be fun exploring these features if we get the chance. 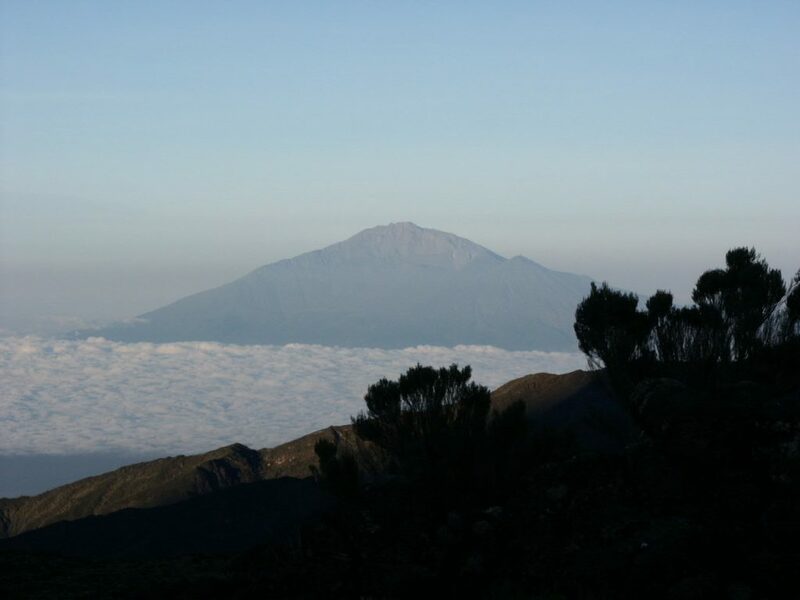 We start by acclimatising on 4565m Mount Meru, 60km west of Kilimanjaro. This peak was my constant companion on my previous ascent, a perfect cone rising up through the cloud. It’s the 9th highest mountain in Africa, and should be an interesting ascent in its own right. We will also be taking one of Kilimanjaro’s less-frequented trails, the Rongai Route, which starts close to the Kenyan border and ascends its northern side. It’s an “up” route (curious park rules on Kilimanjaro mean that most routes can only be walked in one direction – hence they are either “up” or “down” routes). We’ll be descending by Kilimanjaro’s only “up and down” route, the Marangu or “Coca Cola” Route. I’m really looking forward to it. Sorry there’s no mountaineering history in this week’s post. Hans Meyer’s first ascent of Kilimanjaro in 1889 is a really interesting story. There was a lot more snow and ice in those days, and it was a true climb. These days it’s just a trek. If you want to know more about the history then you can read the Kilimanjaro chapter of my book. Or better still, you can read the whole thing. It’s a great Christmas read. Have fun! And Merry Christmas to both you and Edita. 1) What video kit did you take (your images were fantastic) and how did you sustain the battery life, solar panel chargers, number of spare battery resources, etc. 2) What brand outer shell jacket and inner layer would you recommend (I couldnt quite see the makes from your videos). There are so many to choose from I’m a little lost in all the advice I have been given thus far! 3) Lastly you have cleared up the question about day pack size – I will probably go with the Osprey 33L with rain cover sheet. Thanks in advance for any guidance you may wish to give. I use my Sony Cybershot camera for both still photos and video, which miraculously survived a fall down a cliff on Mount Meru. I always make sure I have enough spare batteries for the trip. I have a Rab primaloft jacket which I wear instead of a fleece, and a Berghaus Gore-Tex jacket to go over the top if it’s wet or windy. A down jacket is also useful for evenings in camp, though too warm to walk in. Quick question! 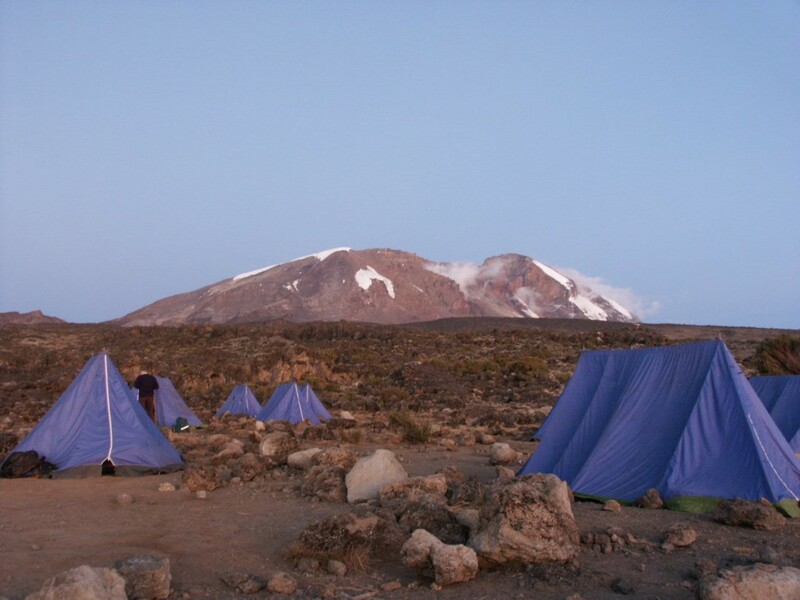 – How many nights would you recommend on Mount Meru followed by tackling Kilimanjaro from Rongai – how many nights? PS: Awesome Blog and books!